Today I bring you another cookie recipe that you can make this holiday season. 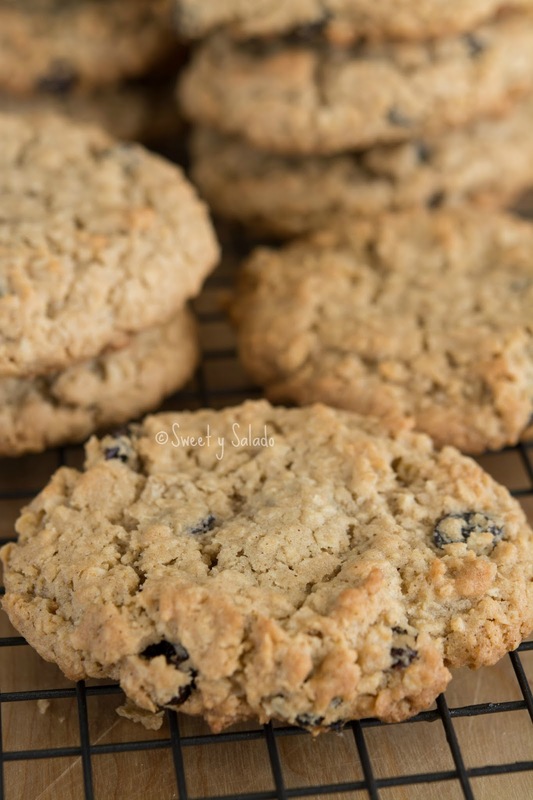 We always make two batches of cookies at home during the holidays and this is one of our favorites, even for those who claim that they don’t like anything made with oatmeal. 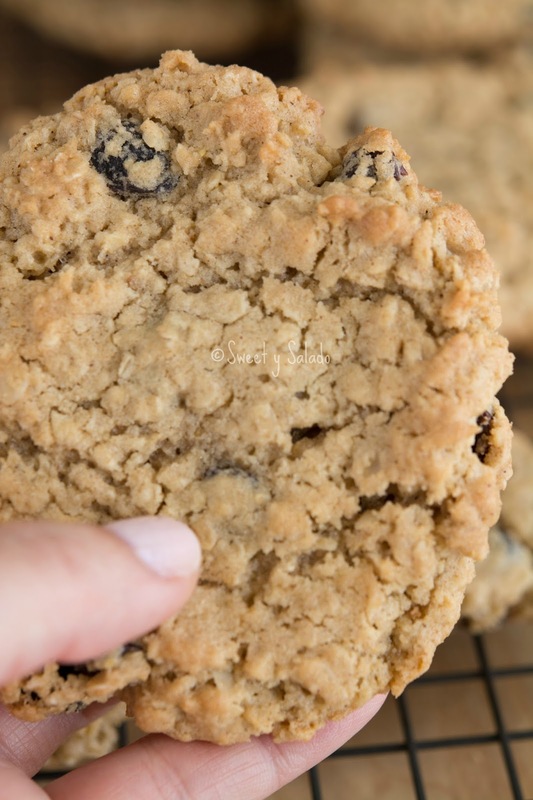 These cookies are incredibly easy to make because the most complicated step is to mix all the ingredients which you can do in a stand mixer, using a hand held mixer or by hand. They have an incredible flavor because they’re not too sweet and the combination of the oatmeal with the cinnamon is phenomenal. 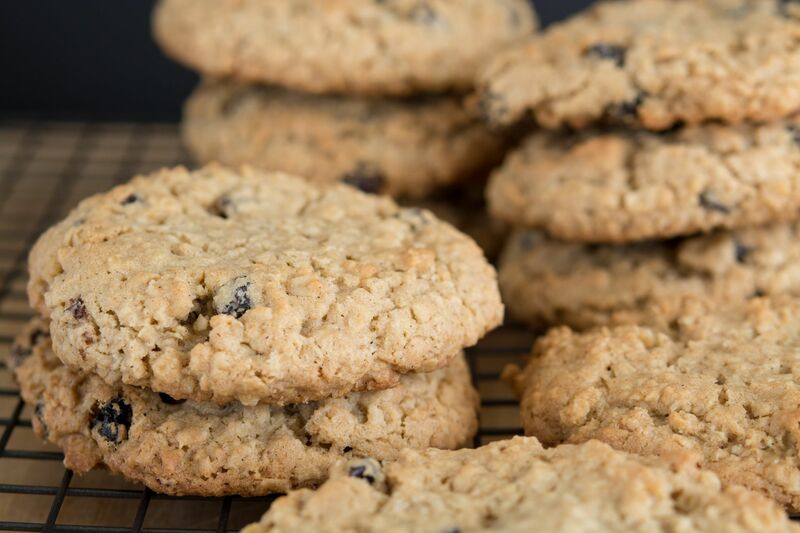 I highly recommend you make these with quick cooking oats because they’re pre-cooked and give your cookies a softer texture, but if old fashioned oats is all you have, you can also use that to make them. 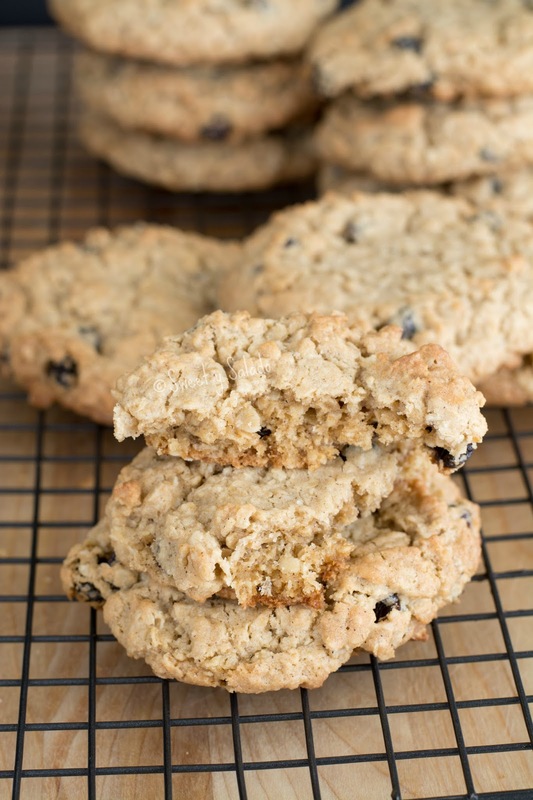 And don’t think you only have to use raisins, you can also use dried cranberries, white chocolate chips, milk chocolate chips or even walnuts. In a medium bowl mix the flour, baking, ground cinnamon and salt. Set aside. In a large bowl cream the butter, white and brown sugar. Add the egg and vanilla extract and mix again until they are well incorporated. Now add the flour and mix just enough to incorporate it. Scrape the sides of the bowl with a spatula to mix everything well. Add in the oatmeal and raisins and mix again. Form the cookies by making between 10-12 balls and place them on a baking sheet covered with parchment paper or a silicone mat. I have found that the best way to shape them is by using an ice cram scoop. Flatten the cookies slightly with your hands and bake them for about 10-12 minutes or until the edges start to turn golden brown. Take them out of the oven and let them rest on the baking sheet for about 5 minutes. Then transfer them to a cooling rack to let them cool completely. Yay! I always get so happy whenever I see your lovely comments, Andrea. I'm so glad everyone enjoyed the cookies, which are seriously one of my faves. Say hi to Jacob for me!